International Institute of Islamic Thought (IIIT) mentioned Dr. Mumtaz Ahmad as featured scholar in its newsletter of September, 2013. 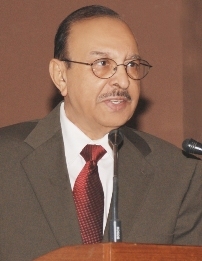 Dr. Mumtaz Ahmad is Executive Director of Iqbal International Institute for Research & Dialogue, associated with the International Islamic University Islamabad, since 2007. He is a Professor of Political Science at Hampton University, VA, USA. He received an M.A in Political Science from Karachi University, an M.A. in Development Administration from the American University of Beirut, and Ph.D in Political Science from the University of Chicago. This post was posted on October 11, 2013, 12:00 am and is filed under News & Events. You can follow any responses to this post through RSS 2.0. Both comments and pings are currently closed.